Nancy Kelly was born in Lowell, Massachusetts, into a theatrical family. 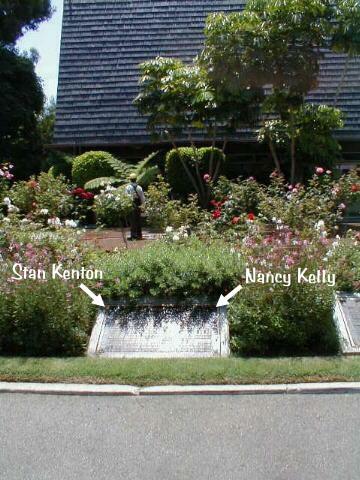 Her mother was silent film actress Nan Kelly, who coached her and managed her career. As a child actress, Kelly appeared in 52 films made on the East Coast by the age of 17. Her younger brother was actor Jack Kelly. Kelly worked extensively in radio in her adolescent years. She played Dorothy Gale in a 1933 to 1934 radio show based on the The Wonderful Wizard of Oz. Kelly was the first ingenue on CBS Radio‘s The March of Time series, with a vocal versatility that made it possible for her to portray male parts as well as female. She also portrayed Eleanor Roosevelt. 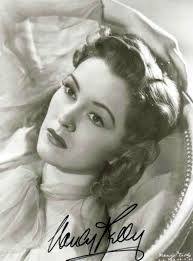 As an adult, she was a leading lady in 27 movies in the 1930s and ’40s, including director John Ford‘s Submarine Patrol, the comedy He Married His Wife with Joel McCrea, Frontier Marshal with Randolph Scott as Wyatt Earp, and Tarzan’s Desert Mystery with Johnny Weismuller. Kelly was subsequently a two-time winner of the Sarah Siddons Award for her work in Chicago theatre as well as a Tony Award winner for her performance in The Bad Seed, which she followed up by starring in the film version in 1956 and receiving a nomination for the Academy Award for Best Actress. She also starred on television, including leading roles in “The Storm” (1961) episode of Thriller and “The Lonely Hours” (1963) episode of The Alfred Hitchcock Hour. In 1957, Kelly was nominated at the 9th Primetime Emmy Awards#Best Single Performance by an Actress for an Emmy Award for Best Single Performance by an Actress for TV episode “The Pilot” in Studio One.